On Sunday night, women from around the country will compete to become Miss USA 2017, succeeding 2016 winner and Army Reserve officer Deshauna Barber. The 2017 ceremony features contestants from all 50 states and the District of Columbia, who will compete for the coveted title at the Mandalay Resort and Casino in Las Vegas. Competitors who make it through the preliminary rounds will vie for the title by competing in the swimwear, evening gown, final question and final look presentations. Though the pageant, which is part of the Miss Universe Organization, was formerly owned by President Donald Trump, he sold the organization in 2015 to WME/IMG. 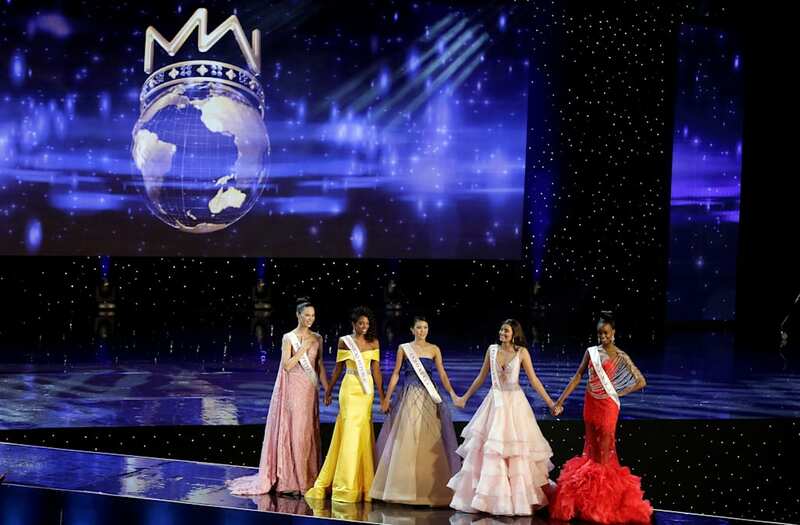 Sunday's pageant will be televised at 8 p.m. Eastern time on Fox. Along with Miss Florida Linette De Los Santos, Gonzalez is one of two Hispanic women competing for Miss USA. The Texas native, whose parents are from Mexico, is an advocate for women who are victims of domestic abuse, having been in an abusive relationship at the age of 18. Gonzalezearned a degree in supply chain and logistics from the University of Houston, becoming the first person in her family to earn a college degree, and she aspires toward owning her own business one day. London is a member of the Alaskan Native Tlingit tribe and a Stanford University graduate with a passion for promoting her and others' cultural identities. The 27-year-old founded Our Culture Story in 2014, a storytelling platform that promotes the stories of Alaskan Native cultures, and has traveled throughout the state to encourage women and children to embrace their own heritage. Gordon, who hails from North Augusta, South Carolina, is a nursing major at Armstrong State University with a specialization in pediatric nursing. The 23-year-old is a particular advocate for children with cancer and blood disorders, and she has volunteered with Safe Kids, Light the Night and the Ronald McDonald House. She was also named Miss Collegiate America 2014, Miss Southeast and Distinguished Young Woman of South Carolina. York is a 23-year-old from North Las Vegas whose modeling work has included campaigns for Guess and Monster Energy. After being the victim of a drunk driving accident, York became a victim impact speaker and advocate for Mothers Against Drunk Driving. She hopes using her pageant platform to share her story will raise awareness of the dangers of driving while under the influence. Williams is a student at Loyola Marymount University studying business entrepreneurship and aspires to earn a law degree focused on intellectual property rights. The 20-year-old is an avid volunteer whose resume includes work with Mixed Marrow, a nonprofit aimed at encouraging more mixed-race bone marrow and blood donors; mentoring middle school students at the Incubator School; and working with the Samburu Project to provide communities in Kenya with clean drinking water. She is also a model and appeared on cycle 22 of America's Next Top Model. Coble is a 27-year-old model who was born and raised in Charlotte, North Carolina. She earned a degree in business from the University of Alabama, and her past pageant successes include becoming the second runner-up in Miss Teen USA 2007. Coble credits modeling with helping her overcome her shyness and teaching her to persevere and "have a thick skin." She is also the cousin of actress Julia Louis-Dreyfus. 'Blade Runner 2049' new trailer teases Jared Leto's character. Here's 4 things to know. Nintendo Switch Virtual Console Release Date: Will retro games, SNES Mini come to E3 2017?